We envision an ever-expanding and ever-competitive concrete pumping market where the quality and professional excellence of our work will always be considered before simple comparisons of price. Classic, in the last 15 years, has provided concrete pumping services on major projects such as the Clem 7 tunnel Brisbane, Inner Northern Busway, Legacy Way, Safelink, Port Road Motorway, Gold Coast light Rail. Also servicing project homes such as Plantation and Own it Homes, major companies such as Alder, Condev, Hutchinson Builders, Adco Constructions, Fulton Hogan, Seymour Whyte, builders we are proud to work with, along with Ray Johnson’s garden shed at Terranora Road Tweed and Justin Amos’ driveway at Varsity, both of whom we are proud to be partnered with. Big or small, Classic is proud to service them all. QUALITY… PROVEN…DEPENDABLE…Our reputation and our broad customer base have been built on industry-leading standards of service. We listen to your unique needs and expectations and customize concrete pumping solutions for every client. However big or small, YOUR job is the one that matters to us! The most important asset of Classic Concrete Pumping…our specialist crews… qualified, skilled and experienced, will ensure the most efficient delivery of concrete mix to meet your expressed needs. Comprehensive training ensures that safe work method guidelines are strictly followed and environmental care is paramount. Our exceptional crews, in combination with our modern and comprehensive concrete pumping fleet, strive to provide industry-best service on every project. We’re passionate about what we do. Positive in our approach to your project. Confident in our ability to tailor innovative solutions for even the most challenging concrete pumping task. We strive for continuous improvement through our relentless commitment to customer service and employee excellence. 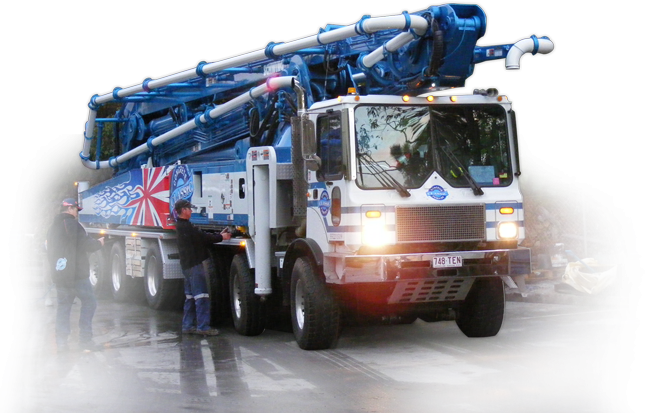 Classic Concrete Pumping was established with 4 concrete pumps and has expanded along with our client base to a modern fleet of 25 pumps. With a comprehensive range from line pumps to 58m booms, we have a concrete pump to meet the unique needs of every customer.